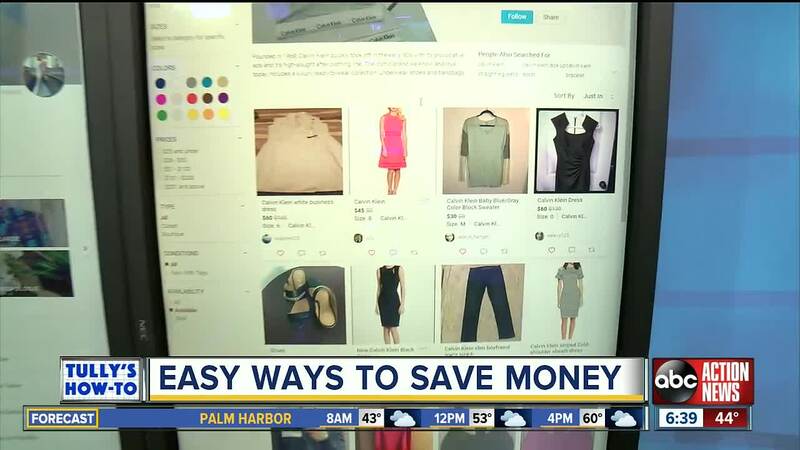 Tully's How-To has some tips to help you save money before you even leave the house today. Negotiate your bills. I've done this often. TV and internet are two to zone in on — you can see if there's a new promotion that you can take advantage of. Medical bills are another to focus on. They put so many people into bankruptcy and many hospitals will work with you on a payment plan — you just have to ask. Go vegetarian one day a week. Foregoing meat just once a week could save you as much as $500 a year if you have a family of four. Sell your old clothing. Poshmark.com lets you have a little fun with the process. A few of my colleagues use this site (and the app available on Apple and Android). All you have to do is create an account, take photos, upload them and even share them on social media. You get paid after items are delivered to the recipient, and there is a flat shipping fee unlike Ebay. They do take a percentage, but it's also a good place to save money on name brand clothing for yourself by looking into what others are selling on the site.